“Your daughter has full-blown fetal alcohol syndrome.” Those words hit me like a tsunami. I was drowning in waves of grief, disbelief, horror and remorse. For 15 years, I searched to understand why Karli wasn’t learning and growing stronger, like my other 2 children. Doctors told me ear infections had caused her minor delays, but she would “grow out of it.” Today, Karli is 42 years old; developmentally, she is about 6 years old. My 1st child, a boy, was born with a clubbed foot, which the doctor told me was a genetic disorder. 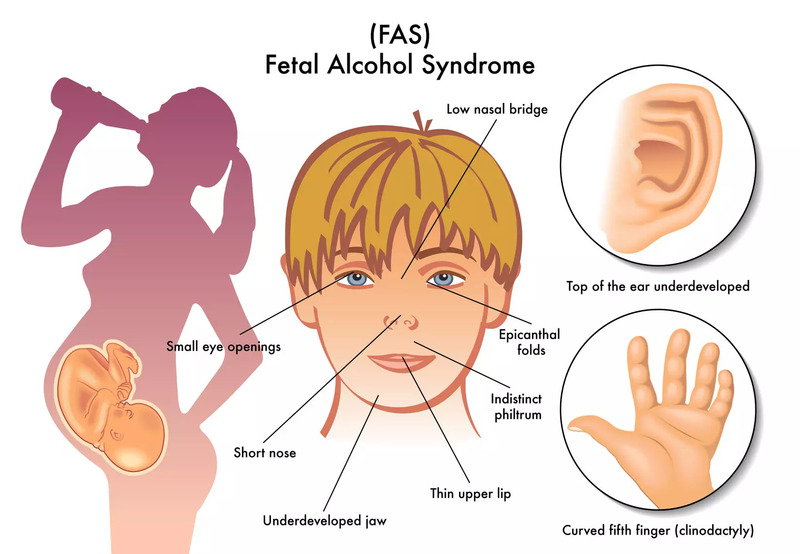 I had Karli a year later, when the research describing the fetal alcohol syndrome (FAS) was published. A few years later, I gave birth to another daughter and still had never been told not to drink during pregnancy. I divorced my high school sweetheart and remarried another man who liked to drink. My own issues with alcoholism and addiction spiraled out of control. I had 2 unplanned pregnancies while on methadone to treat my heroin addiction. No one at the clinic ever mentioned that it wasn’t OK to drink. My 2nd son came prematurely and died the day he was born. After a full-term pregnancy with my 3rd baby girl, I found her breathless in her crib at 10 weeks old: Sudden Infant Death Syndrome (SIDS). I didn’t realize how those years of addiction affected each of my children. Most people with FASD don’t have intellectual disabilities, but do have attention deficits, behavioral issues, learning disabilities, mental health issues, and problems with memory, judgment and reason. Clean and sober for the last 31 years, I have dedicated my life’s work to increasing awareness and improving services for individuals with FASD and for women dealing with addiction issues. I have a beautiful marriage and 5 wonderful grandchildren. Later, I went on to receive my Master of Human Services (MHS) degree and became a licensed clinical alcohol and drug counselor (LCADC). I know that treatment works, and by encouraging women to get help, we save their children too. Now I am that good mother I always wanted to be.